...another thing to think of is what the car is. 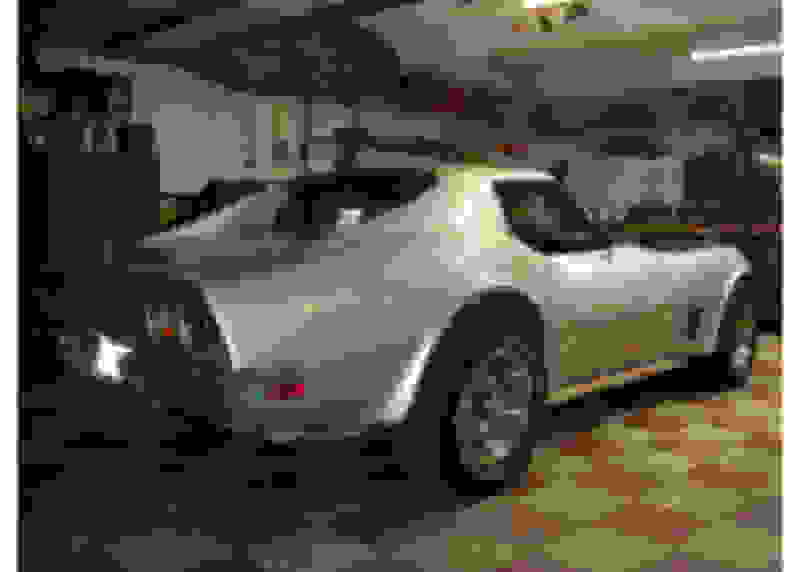 Look up a lot of '73 454 cars for sale and see what they're bringing. You could easily have $20K(low) to $35K(high)into that car. 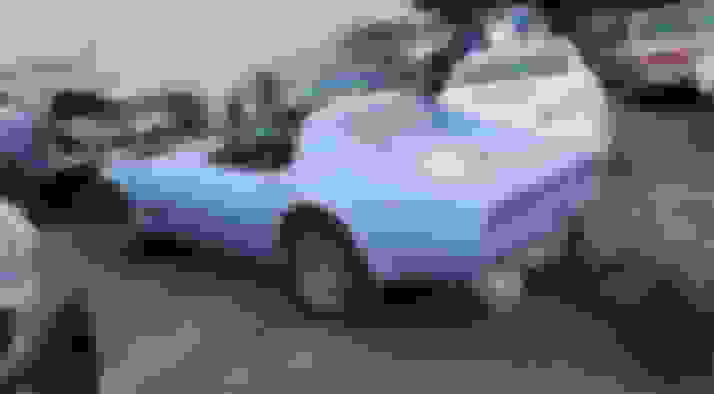 You can get very nice '73 454 cars that you can drive tomorrow and enjoy now without having to put in thousands of hours worth of work for $20K to $35K. yeah, I'd take it on(second thought)if it was a '68/'69 L-88, 427 435 or 400hp car. Even a '71 LS-6 or ZR2 car. Even a '70 to '72 ZR1 car. But a '73? Save your time and money. There's a reason the guy who owns it now doesn't want to finish or do anything more with it. Think carefully. As you can see, there are many different opinions here on which way to go. This is very familiar territory for me. 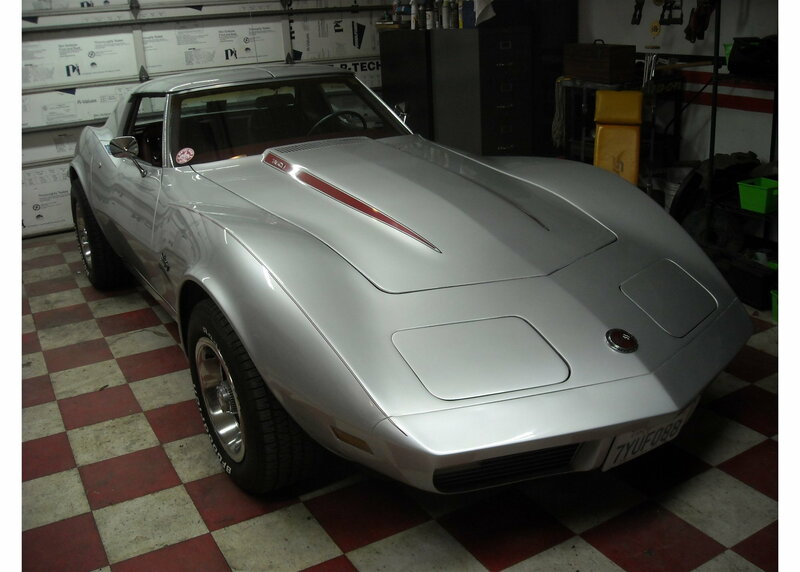 I have bought many Corvettes in pieces and put them back together so I'm not easily frightened by a project car. Others have said the $7K asking price is too high. I can promise you they are correct. I currently own a '73 that was abandoned at a body shop, in pieces. Clean, rust free southern California car. The body was straight, engine was strong, the suspension was all new, it needed a complete interior, brakes, A/C system redone, tires and a bunch of miscellaneous items. I paid $4K, which is a touch higher than I normally would have for a '73 in that condition, but I really liked the color combination and option list. I was able to drive it on to the trailer at that price so I was pretty sure I couldn't get hurt. The rear end damage on your car is not bad at all. I would be very surprised if there was any structural damage. I don't know where you are located so I don't know if frame/bird cage rust is an issue or not. All this is based on the assumption that they are both rust free. If not, pass on the car. Find out if the engine and trans are original (numbers match) to the car. This will matter. Also be sure the car does not have a salvage title due to the carb fire. Check the trim tag to see what the original color combination was. This could also help/hurt the value depending on which combination. In the end, it's still a big block 4 speed Corvette and they aren't making any more of them. So it could be a good project with a decent outcome for somebody who does all their own work. All depends on the buy in price. Nobody, and I mean nobody on the planet is going to pay anywhere near $7K for this car when you can get a tired but running '73 for that much, so don't worry about insulting the seller. I would be on the car at $2,500 in it's current condition. One penny over $3K is WAY too much. Last edited by Greg; 06-26-2018 at 02:46 AM. It's not the point that there is literally nothing on the car that doesn't have to be repaired or replaced. It's not the work. The work is free and it's fun. It's the money involved to buy everything that needs replacing. The whole car including the engine is in pieces and what's left in the pics isn't even worth the time to drag home. My point is you can buy a much nicer bunch of Corvette parts for that money. Last edited by CanadaGrant; 06-26-2018 at 12:08 AM. I don't know where you are located so I don't know if frame/bird cage rust is an issue or not. All this is based on the assumption that they are both rust free. If not, pass on the car. Thanks guys, really helpful replies, and to Greg, yes the engine and trans are numbers matching (at least the seller says so) and the original color is "Daytona yellow". And if you're curious the options it has are power steering and brakes, no ac, no power windows. Also, to answer your question about where it is, I live in Missouri, but he said it has been a cali car (has a clean cali title) and has been in a shop in Missouri for the last 15 years. Same car 5 months later. It was a fun one to put back together. Very happy with the results, no surprises and it drives great! Last edited by Greg; 06-26-2018 at 03:08 AM. The curse of old corvettes is that no matter how bad they look inside, underneath, under the hood, a decent body (if not smashed) is going to give the illusion that the car is in better shape than it really is. How many parts does it take to make a 73 corvette? That's how many parts you would have to either buy, restore, refurbish, repaint, replate, or rechrome. My 72 was in a similar (body was worse) condition and I thought I would do my dad a favor and get it out of his garage and give him the 6800 that he had in it including some new fiberglass. Right now my parts bill alone is over 30K. Hard to imagine, but I've been buying parts and keeping a spreadsheet since 2007. Rust. You haven't mentioned it. Have you looked for it? No you're right, the car is 5 hours away so I don't really have the option of making a quick trip to check it out thoroughly, and I've been relying on pictures from the owner. He said that the frame and birdcage are rust free but I haven't seen it, and I don't even know how you would check the birdcage for rust (isn't it hidden under the body?). Ok I understand where you guys are coming from, but would it help if I mentioned that I am doing this project for the experience of it? I'm not necessarily trying to make any profit off of it, but I would like to break even. IMHO... seven grand is NOT a "starting point" for that. Yellow on black is a pretty nice combination when done right.